You are here: Home / Great Deals / Big Fab Find Supersize Jumbo Fiber Pillow Just $2.79! Down From $10! 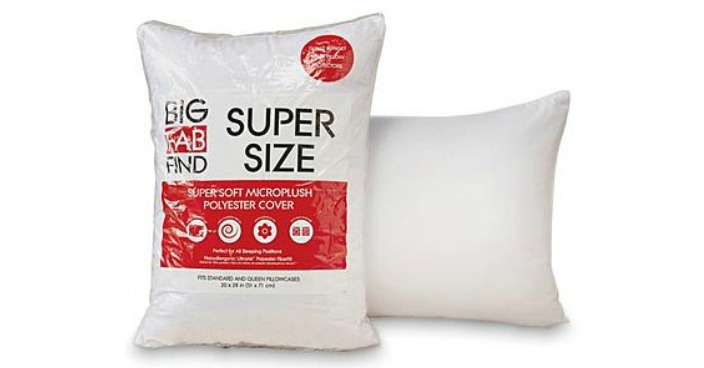 Big Fab Find Supersize Jumbo Fiber Pillow Just $2.79! Down From $10! Sears has this Big Fab Find Supersize Jumbo Fiber Pillow on sale for just $3.49 (Reg. $10) but you can get one for just $2.79 when you use promo code HOME20 (20% off) at checkout!